DPL lighting hire provides a comprehensive range of lighting equipment for hire and are able to provide their experienced advice to those looking to create a memorable event. 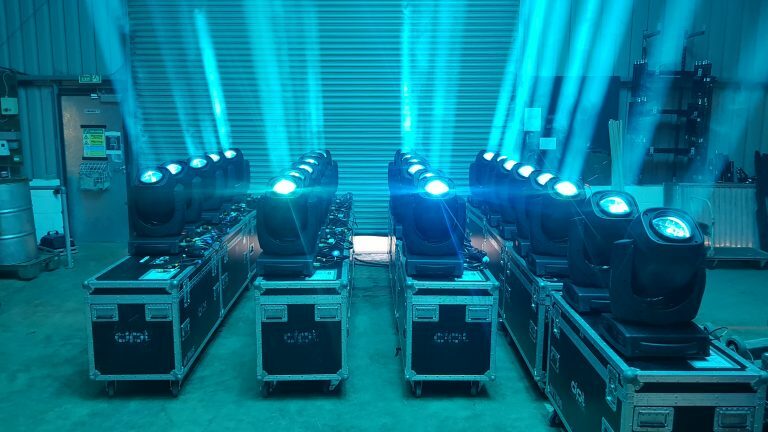 With an extensive product range and an exemplary level of customer service, DPL Production Lighting hire will be able to meet all of your equipment hire needs. Browse our equipment hire product range and contact us to discuss your equipment hire requirements. In addition to hiring out professional lighting equipment, DPL are also able to provide trussing, rigging, electrical distribution and effects equipment. Select an equipment hire section above to find out more about the vast range of equipment available to hire from DPL Production Lighting. contact us today with your specific requirements. We have a large inventory and can supply multiple Live Events and touring shows simultaneously, whether it be a small venue, an arena/stadium or school theatre production; we are committed to offering the same levels of service regardless of the size of your project and offer solutions to match every budget. For 24 years DPL have served clients in various markets including festivals, concert tours, stage show lighting, live music events, arena shows, outdoor events, conferences, theater school productions, theatres, private parties, weddings, award ceremonies, conferences, fashion shows and corporate events. We also provide Lighting solutions for shopping centres and retailers. DPL carry a comprehensive stock of industry standard professional Lighting Hire equipment, truss, rigging, electrical distribution and effects from brands which include Vari-Lite, Robe, Martin/ Mac, James Thomas Engineering, Tomcat, Slick, CM Lodestar, Prolyte, Milos Chroma Q, Studio Due, Robert Juliat, High End Systems, Avolites, Green Hippo, Arri, ETC, Zero 88, LanBox Products, Tomcat, Slick, CM Lodestar, Prolyte & Milos. New to our stock for this year is the Prolyte H40v series truss powder coated in black its a must for any event! The Prolyte H4oV is constructed of main tubes (48,3 x 3 mm) and diago­nals (20 x 2 mm). 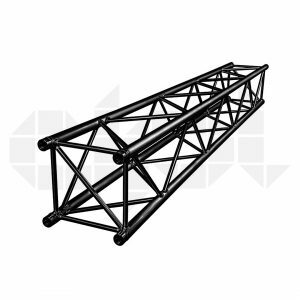 Equipped with the CCS6 conical coupling system, the H40 truss is fast and easy to assemble. The H40 offers extra strength, next to its flexible application possibilities and is the ideal solution for the event or exhibition market. Advantages: Fast and easy assembly, Light weight system, Versatile application, Cross bracing, 4-point noding. For more information and availability please contact our rental desk. Lighting hire and lighting equipment hire is our core business, along with a range of associated services including set & stage design, rigging and technical production for Live Events. DPL provides lighting equipment hire, Lighting Design, Set and Stage Lighting, Concert Lighting & Technical Production services for a variety Live Events, Live TV Broadcasts, Outdoor Events, Festivals & Concerts and Theatre Productions. We also cater for Private parties/ Party Lights, wedding lights, fashion show lighting, conference lighting, corporate event lighting as well as PR & marketing events and press launches in London, the South East and the rest of the UK. We’ve also been involved in many iconic building launches and specialist bespoke lighting design solutions for brands and individuals. Since our acquisition of Totally Sound Ltd we now have available to hire a variety of professional Audio Equipment including KV2, Sennheiser and Behringer. Audio for live events, colleges, dance schools, promotions and exhibitions please contact our rental desk for further information. We also have available for hire TS1 a 40ft mobile stage! A complete package of stage, audio, lighting, power, changing room and pedestrian barrier.